Our range of products include abdominal support, abdominal belt, lumbo sacral support, contoured lumbo sacral support, neolife heating pad and lumbar corset universal. Riding on unfathomable volumes of industrial expertise, we are engaged in offering an excellent assortment of Abdominal Support. By our deft professionals, this product is designed using the best quality material. The provided assortment is available for numerous specifications clients. This gamut supports the abdomen & compresses the abdominal muscles. It's quality proven elastic & double locking enhances the compression on the muscles for quicker healing. 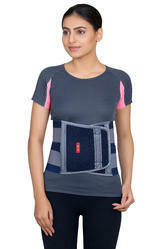 With assistance from highly qualified and experienced professionals, we are engaged in offering Abdominal Belt. This array is severely checked under the control of our quality controllers on an assortment of quality parameters set by the industry. This product simply lifts & trims a sagging abdomen to help in recuperation after surgery. In order to meet variegated needs of clients, this range is obtainable in a number of specifications. Owing to our in-depth domain expertise, we are providing a qualitative range of Lumbo Sacral Support that is designed by our adept professionals to provide comfort and support to the patient in low back pain. 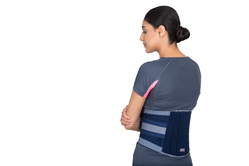 The flexible contoured splints of this array provide support to weak back muscles & correct the postural deformity. Offered sacral support is checked on well-defined parameters before its final dispatch. Our domain expertise has enabled us to offer an excellent collection of Contoured Lumbo Sacral Support that immobilizes the lumbosacral region & corrects the postural deformity to allay low back pain syndrome. Offered sacral support is designed by our diligent professionals keeping in mind the comfort level of the clients. Premium quality elastic with double locking provides extra strength in correcting deformity. 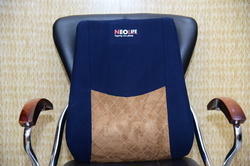 Neolife Heating Pad is an electric heating pad/belt that provides heat therapy for quick relief in joint and muscular pains. When plugged in, it heats up instantly to the specified temperature and maintains that to ensure the pad is warm and yet not uncomfortable. 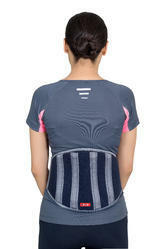 We are offering Lumbar Corset Universal to our client.